Much of our modern understanding of the things of God is drawn from a supposedly logical extension of thought from scripture. This has been going on for probably longer than I have been around, but it seems to be taking a turn for the worse, turning a biblical concept of Christianity on its head and into a caricature of any sort of reality. PURGATORY—since only perfect people can get into heaven and no one is perfect, there is an opportunity to work off some of the "bad" from your life through a temporary punishment, which will eventually render you perfect. PRE-TRIBULATION RAPTURE—there is no way that God is going to let His people suffer that kind of trouble, so they have to be removed before that particular event. THERE IS NO HELL—God is a loving God and would not send any of His creation to someplace like hell. THE RAPTURE—all the teachings around the Rapture are built from 1 Thess. 4:17. This verse supposedly contains the secret event of the Rapture, and all the other verses are understood from this standpoint, rather than being first taken within their own context. TITHING—Mal. 3:10 is the main verse used for the modern concept of tithing, with all other verses being pressed into service as support for this verse, which is usually wrested out of its context to begin with. FREE-WILL SALVATION—because John 3:16 says "whosoever," the logic is extended to mean that whoever chooses, of their own free will, may be saved. Rev. 22:17 is also sometimes used, because it reads "whosoever wills..."
Obviously, the assumption you should make is that I have difficulty with each of these teachings I have listed. It should also be obvious that this is not the place for me to present my understanding. I only list them as examples of teachings that are drawn more from logic than from a systematic study of scripture. A "systematic study of scripture," or Systematic Theology, seeks to present the entire scriptural teaching on a certain specific truth as contained within the Bible. This is what is lacking in so much of today's teaching and understanding. I may be wrong, but I believe part of the problem stems from the fact that the Bible is no longer taught in most of our churches. Please understand. I am not saying that people and preachers do not believe the Bible. I am saying that the book is not taught for what it contains. We get a sermon on Sunday morning that is a nice talk based on some verse of scripture, but what that verse actually means within the context of God's entire revelation we haven't a clue. Neither do the majority of church-goers spend much personal time within the pages of God's Word. Therefore, it becomes easy for the deception to begin. At a Bible study night in our local church, a person who is a regular visitor was holding forth on something about the scribes and pharisees. This person has gained somewhat of a reputation as an authority, because of all the research that goes into papers that are presented for us to learn from. This person was making the valid point that the scribes and pharisees added many laws to God's original laws for His people. "For instance," this person said, "you shall not boil a kid in its mother's milk." This could easily just be a case of not knowing something specific. It certainly was not harmful in any real way to the listeners. However, this can be used to show how easily error is slipped into our midst. Through the years, there have been numerous instances in my life of hearing some teaching that didn't sound quite right, but I couldn't challenge it right away. Then, after further study of the Word, I would come to find out that the doctrine was completely false. For instance, we were taught that the Greek word for love—agape—was a special word developed specifically for the New Testament to express "God's kind of love." The word "agape" shows up in the Septuagint translation of the Old Testament, which was written about 250 years before Christ, in Gen. 29:18—"Jacob loved Rachel..."
The teaching had a nice sentiment to it, but much false, misleading teaching has been derived from the concept. 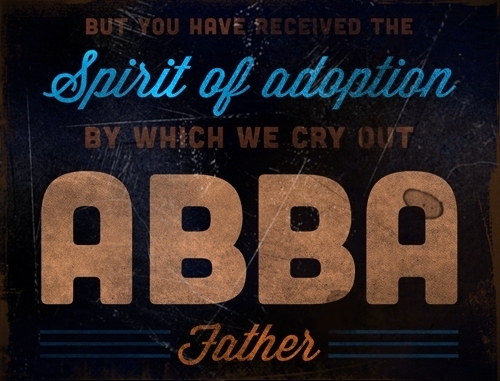 We have been told that "Abba" is a term quite similar to "daddy." 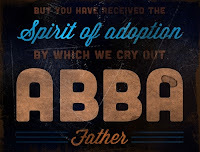 This is taken from the idea that "abba" is a childish sound uttered by an infant. In our country, the first supposedly recognizable sound of a baby is that of "da-da." We get all excited, because the child has learned to say, "Daddy." "Abba" is also said to be a term of familiarity, of closeness, much like "daddy." It is now not uncommon to hear such things as, "Daddy loves to hear your praises." I have been charged recently with the notion that those who grew up without a father, or without a good father image, "need" these things such as "Daddy" and the song, "Good, Good Father." I can only imagine what it must be like to not have a good "father figure" growing up, but substituting a teddy-bear image of a sugar daddy will in no way fulfill that which may be lacking from childhood. It is nothing more than a childish attempt to once again have its own way in the things of God, Who is far above the normal or natural ways of humanity. It is a casualness that is bordering on a complete loss of respect for things that demand more than just a "buddy-bro" approach in life. You kind of left us hanging, Dale. Also, your example of not boiling a kid in its mother's milk was confusing to me. Not sure what you are saying (your italics says it IS in scripture 3 times.) Conflict. I like where you were going with the Abba Daddy stuff, though. It has always bothered me instinctively, but I never refute it because I know I'm not a scholar. Looking forward to more on this. OK. So, it's not my best writing effort. There was a long introduction about how things are drawn from men's minds as a logical extension of a verse or thought about a verse. That is the case with "ABBA." I pointed out the childish thing that is not proven through scholarship. The story is about how a slight twist of scripture goes unnoticed or unchallenged, which is the opening of the door for deception to enter in.